Filmedia® produces all kinds of material woven fabric filter which can meet different customer needs. They are widely used for industrial filtration. We can provide professional advice for you according to your working condition. Filter cloth has good performance of strong resistance to acids and high efficiency filtration. Material: PA, PET, PP, fiberglass, cotton, fiberglass, basalt, silica. (1) Resist strong acid and weak alkali. (2) It’s stable to thick abio-acid in low temperature,not dissolved in organic acid,but can be dissolved in thick vitriol and heated cresol. (3) It’s easily hydrolyzed in strong alkali. (4) The temperature used within 120℃and the instant temperature can be up to 150℃. Applications: Dust collector or liquid-solid separation. Mainly used in food and beverage industry, pharmaceutical industry, non-ferrous metallurgy, chemical plant, building section and mining industry,etc., for the equipment of filter presses, centrifuge filters, vacuum filters, belt filter presses, etc. Applications: Liquid-solid separation and dust collection. Mainly used in precision chemical industry, Sugar-refinery, Pharmaceutical, alumina industries, etc., for equipment of frame filter presses, belt filters blend belt filter, disc filters, drum filters, centrifuge filters, etc. (1) It can resist strong alkali and acid except chlorine-sulphur acid and thick nitric acid. (2) The general temperature applied is less 100℃,the tensility will fall off and shrink when it’s over 100℃. (1) Great strength,especially its anti-abrasion is top-ranked in all general fibers. (2) Resist strong alkali and weak acid. (3) The strength expense can be ignored after dealt with NaoH(10%), as Polyamide is used 16h in the state of 90℃. (4) It’s continual applied temperature within 120℃ and the instant applied temperature can be up to 150℃. Applications: Mainly used for liquid-soild separation. Mainly used in the industries of chemical, coal mining,building materials, melting, for equipment in the strong alkali operating conditions, such as frame filter press, disc filters, and centrifuge filter. 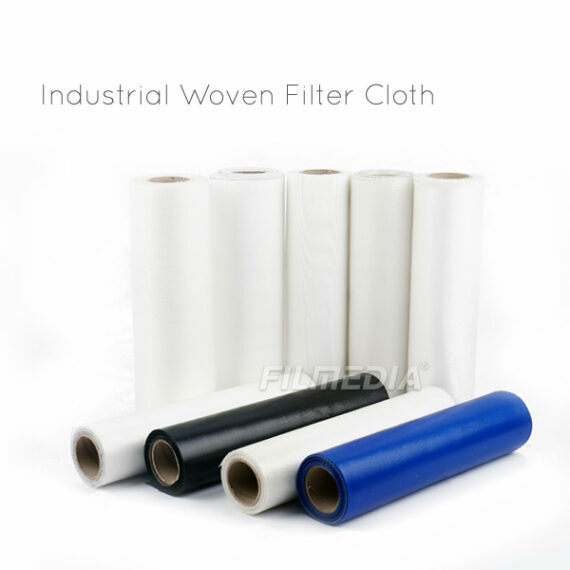 Features: Fiberglass filter cloth has high covering capacity and good air permeability, thus providing higher filtration efficiency,lower filtration resistance. High Temperature Insulation–High Temperature resistence. Insulation Enhancement–Our products can be used in the field of insulation enhancement. Insulation Rubber Tape–Insulated rubber tape specifically refers to the tape used by electricians to prevent leakage and to provide insulation. Screen Cloth–Our products can be used to make screen cloth. Aviation Material–Aviation materials are the material guarantee for the development and production of aerospace products, and also the technical foundation for the aerospace products to achieve the desired performance, service life and reliability. It is very reliable to use our fiberglass filter cloth for aviation material. Film Material–The core of membrane technology is membranes. In general, the chemical properties and structure of the membrane have a decisive influence on the properties of the membrane separation. Therefore, it is required that the membrane material should have good film forming properties, chemical stability, resistance to acids, alkalis, oxides, and microorganisms. PTFE High Frequency Substrate–Fiberglass filter cloth is widely used in PTFE high frequency substrate. Application: The special industry of nickel cathode. Features: Basalt filter cloth not only has a perfect performance in resisting high temperature,but also can be degraded totally. It is a eco-friendly industrial material. when it’s over 960℃.Please click here for more information. Any other questions, please contact us freely!